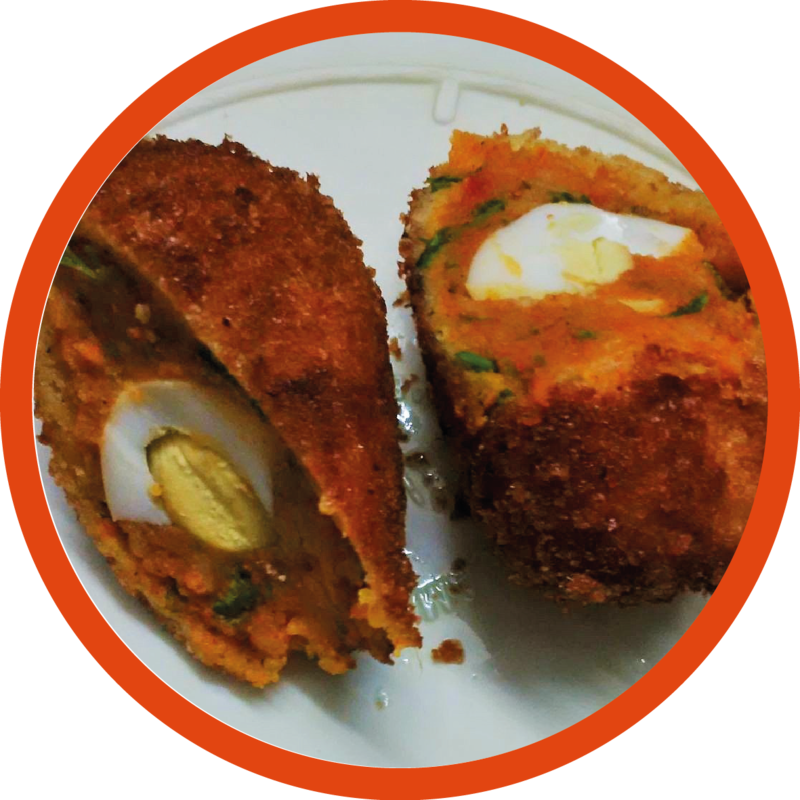 Egg chop is Indian street food made of boiled eggs enveloped in spiced potato mixture and then deep fried. In a large bowl, mash boiled potatoes and add ginger garlic paste, coriander leaves, black pepper powder, red chilli powder, cumin powder, turmeric powder, green chillies and salt. Mix well using hands. Cut boiled eggs into halves and keep aside. Divide potato mixture into equal portions. Now take some potato mixture in your hand and press it flat in the palm. 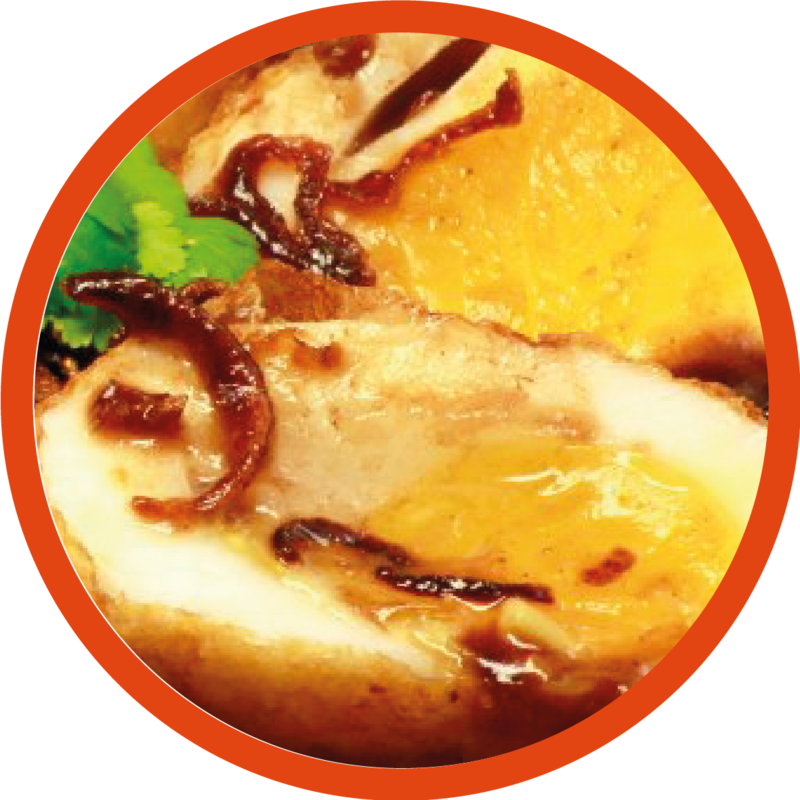 Put one half of the boiled egg in the middle and cover it with a little more of the potato mash to make a fine oval shaped ball. Repeat this with all boiled eggs. In a bowl whisk raw eggs for coating and in a plate spread breadcrumbs. Heat oil in a heavy bottomed pan and once the oil is hot, dip the balls in whisked egg and then coat with breadcrumbs. Deep fry on a medium heat till golden brown in colour.